St. Francis of Assisi: Saints Peter and Paul Cemetery, Naperville, Illinois, USA. St. Francis of Assisi embodies simple joy, freedom, a child-like spirit and self-deprecating humour. Just like Francis, I also discovered slowly how to let go of control and live in joyful simplicity. Your last sentence is profound! Yes, surrender to God is the way to handle anything that happens to us. It’s the only way to know if we are in God’s will. This is the comment I couldn’t manage to leave on your Follow Frenzy. I just discovered your blog…and I’m speechless! You speak so directly to my heart. I’m staying home to care for my eighty year old mother and my husband who has stroke related dementia. Just today some one told me that I was wasting my life, that I could be doing something important. I didn’t know how to explain so that she could understand. Right now, caring for my husband and mother is exactly what I am called to do. It is my vocation. It is my witness. Thank you so much for your openness and your loving heart. Mother Teresa once said, ” You want to help to bring peace to the world? Go home and love your family. you have discovered the key to happiness, simply being in His will. I love Jesus so much, he made sure the R A C came quickly to my call over my car with a flat tyre, this I found after being to church today, the frustrations of the week he knows were too much. A dear cat had to be put to sleep on Wednesday she was very old and had become ill, then Yesterday having to drive in the dark in very difficult weather conditions. Being of a nervous disposition, I was very anxious and grew angry when a motorist hooted at me on the road. I was wondering if the devil was trying to test me by having this recent and prolonged run of bad luck. 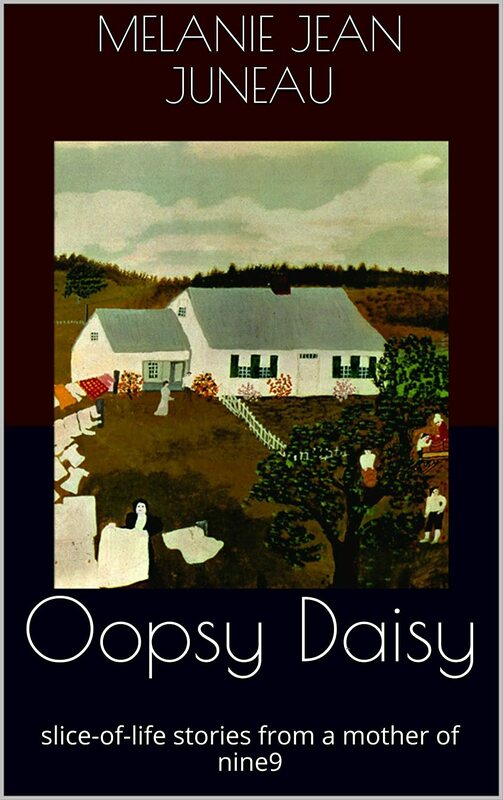 But I am thankful I am well enough to drive any way, seeing as I have suffered from epilepsy. My prayers go out to all sufferers with this condition on th Myepilepsy web site and the British Epilepsy association. I often wonder if my late husband of whome I cared for in his final years is looking after me. I however must do God’s will. Whatever you have done for the least of these, you have done for Me (Jesus). Yours is such a beautiful witness Kari. Your actions will speak much louder than your words. Your selfless love for your mother and husband will leave an impression that will continue to speak to the heart of others who see your story. God will use you to reach those that have succumbed to the false messages of the world. You are a beautiful light that shines for His glory. Praying for you. I understand completely. I am spending my life caring for my multiply disabled daughter whom I love with all of my heart. This is my vocation. To do little things with great love. I found your blog through one of the LinkedIn groups! I am also a joyful mother of nine children. Mine are more spaced out then yours though. There’s 26 years between my first and last! 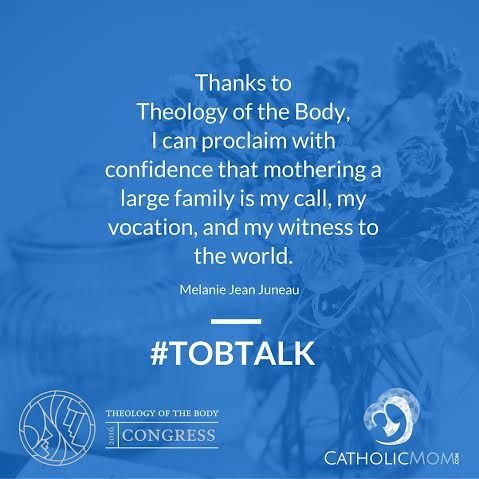 I’ve just come here from Melanie’s other blog, and it’s already getting to be a beautiful, beautiful Sunday, reading about loving your family as being a vocation. I’d love to hear how you cope with 9 kids. I love hearing about mums and kids. I have 5 but am almost always frazzled! you do understand…. 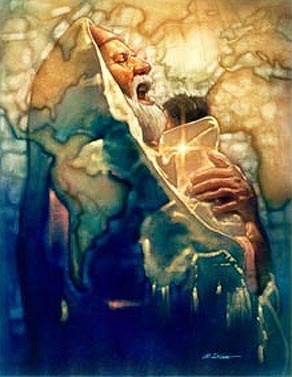 wow…babies and children transformed and healed me emotionaly, mentally but most of all spiritually. … We were also born 9 of us! Mom died one of the strongest women alive! Love your blog. Your children are lucky, to have a talented, caring, compassionate mum. One question: how do you look so stress free? So glad I found you. Your blog and family are lovely. 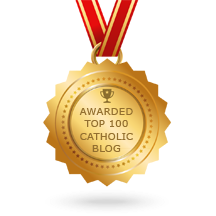 I am a Catholic mom of 5 and just started blogging. Any suggestions? Melanie, I’m so sorry if I’ve hijacked your “conversation”. 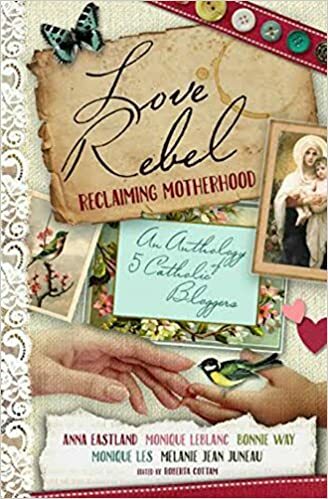 I too am a Catholic mum and I write a blog (https://writingonmyheart.wordpress.com). If you think my blog is alright, I would love to be connected to the Asso. 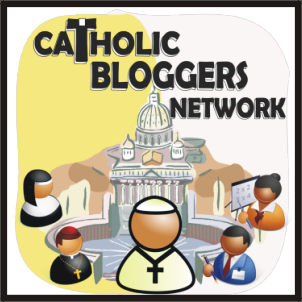 of Catholic Bloggers. Thank you. merry christmas to you and thank-you! Thanks for creating such a tremendous blog. I thought that it would be a good idea to give recognition to your page and allow other people to view and enjoy your site!! Once again…well done and congratulations! I really appreciate you as a writer! I love the way the website looks too, what a great blog. 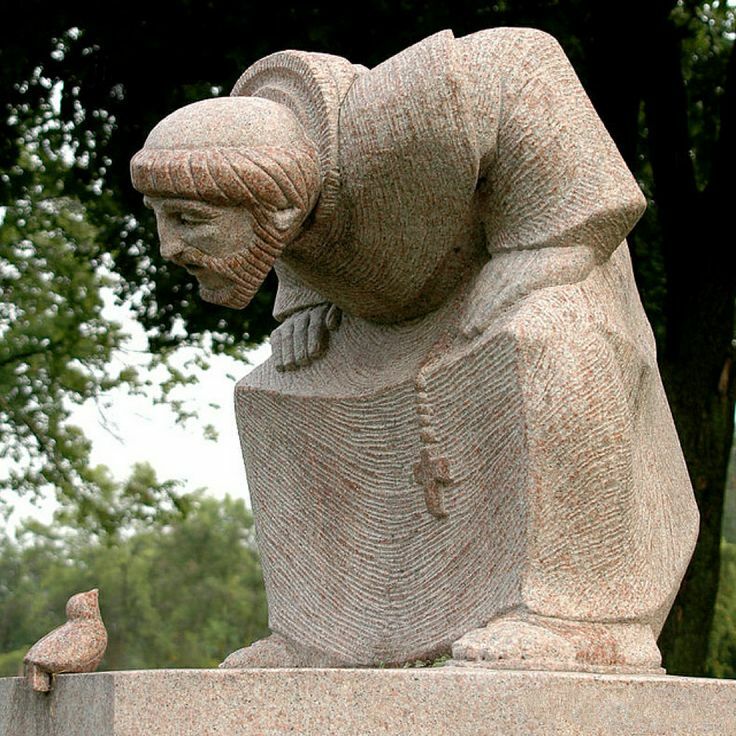 I especially love the picture of St. Francis looking at the bird. What a tremendous blessing he is. I’m also blessed by the icon of Mother Mary, and her Immaculate Heart. Wow. I am more open to her than I used to be. I do ask her and St. Joseph to pray for me. I have not joined the Church yet but in many ways I think like a Catholic person does (at least from what I can tell). Your website is an encouragement to me in that way. Thanks. I too have never seen such a statue before, and it makes the saints so human, and not-so-out-of-reach for me. Very beautiful. 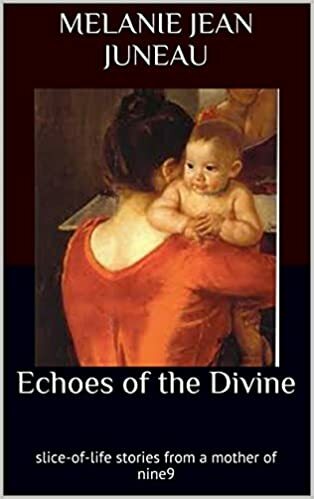 I’m a cradle Catholic, but only in recent years, making some progress in understanding my faith. Like you too, only now discovering the joy of loving the Immaculate Heart. May God guide us both. What a great blog, Melanie. I am a grandmother of nine and mother of four grown-up children. And I have returned to the Catholic Church following a horrendous divorce following 42 years of marriage. The priest helped me so much. He said I should get my marriage annulled because it never was a marriage. So glad I found your site. You will be used of God in many mighty ways. The best ways are the small ones. A gentle touch, a kind word, a smile when all else gone bizarre. Hugs and blessings are sent your way. I am so pleased. I am so amazed how God puts people in our path when things are extra tough. We will pray for one another, OK? I’m from Canada. I am in Manitoba. The land of 6 long months of winter. LOL But I love it anyway. That way, when spring arrives, I enjoy to the fullest. I must babysit my 2 grandchildren for the afternoon as of 10 minutes. Talk later and so good to meet you, Melanie. 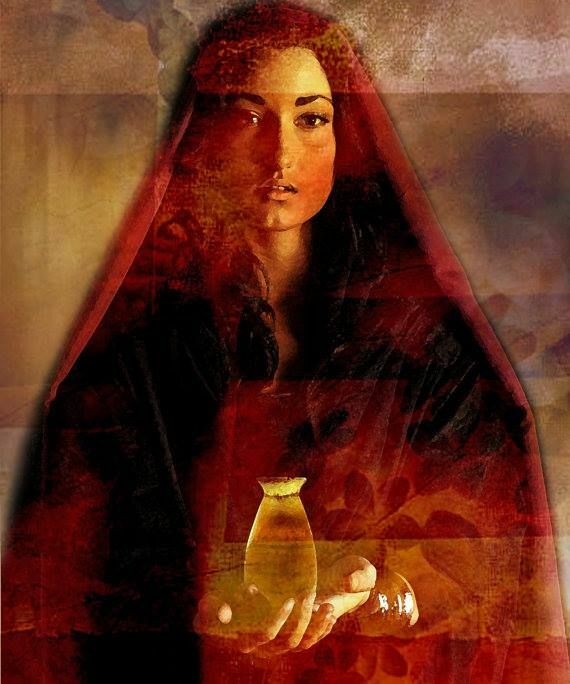 …you are attached to my heart..which means that everytime i lift my heart to god, you are lifted up as well….Yours is the heart of Jesus, Melanie – the heart that truly loves. The what Jesus did for me pic, Of Jesus reaching down pulling me out really spoke to me do you know where I can pay for a print of that amazing art? this pic has been floating around the internet; I was lucky to find the artist but I am not sure where you could find a print..I will poke around tonight.. I am truly honored that I inspired you for an award. 🙂 thank you, you brighten up a dark day for me. 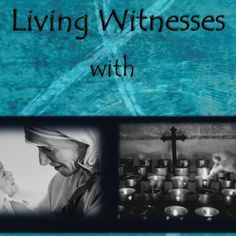 Praise Jesus for your witness. I am a mother of five… under five and a half so I treasure your words of wisdom. 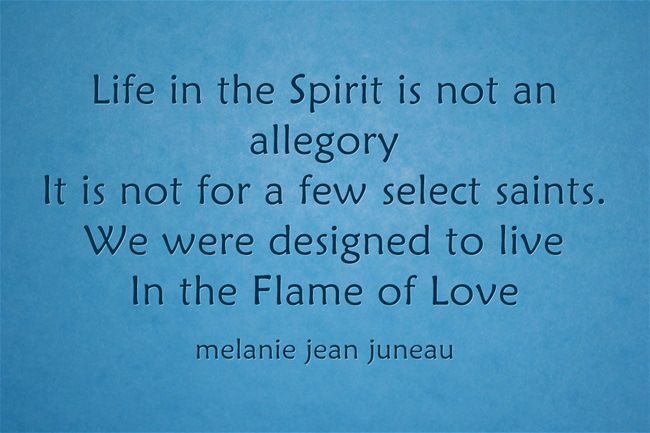 God bless you Melanie Jean. My children are my salvation too. By the way the life of St. Gianna is a great model for mothers. I recite her prayer daily. We need strong women of the Gospel!! Did you paint that picture of Christ reaching into the water? Do you know who did if not you? I’d love to have this hanging in my home. Hi miss and thank you for continuing to share the love of my hero and our savior in the ever expanding digital landscape. My question is do you know the artist who painted Jesus reaching down into the brilliant blue water? With His glory in Gold on the other side of the water? Congratulations on having 9 precious children to bring up in the grace of Christ. Thank you for visiting my blog. May God bless you! Thank you for blogging about the joy of large families. Too often, my students(college) who are parents want more children, but are – I think- are bullied into stopping. I’ve actually had students who have been told by their doctor they have to get their tubes tied because a fourth pregnancy would be dangerous. 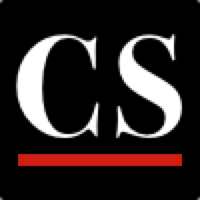 Additionally I am still an owner of the OneParish Catholic app., which is still expanding around the country. Thank you for the support on that business, as well. I am inspired, especially by your final original quote! Am I able to buy prints ? 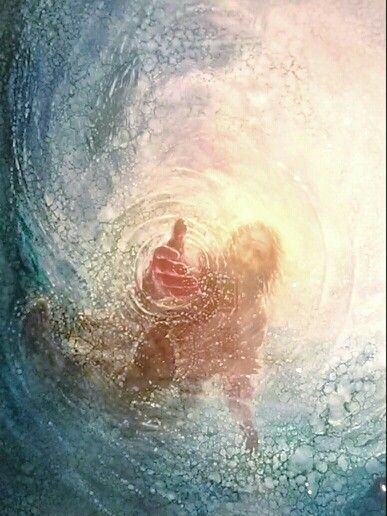 I love the photo of the Lord reaching into the water to lift me up. There are no words to describe this picture. I wanted to leave a comment to tell you that I just discovered your blog online, and I loved reading your story of how you completely surrendered yourself to God’s will and have embraced the call to raise a beautiful large family! You are a true inspiration! I will keep you and your family in my prayers. I admire you so much!! I am the mother of nine children and now twenty one grandchildren and one grandchild. It seems to me that this vocation of love continues to reveal itself. When my grandson and his lovely wife ask me and his Grandad for advice in their own marriage, it helps me understand so much more how important family is. My name is andrea bennett and a colleague of mine, Kim Fu, and I are working on a book about faith experiences. We’d love to interview you. Would you be able to get in touch at andreakathleenbennett [at] gmail [dot] com? Thanks!! 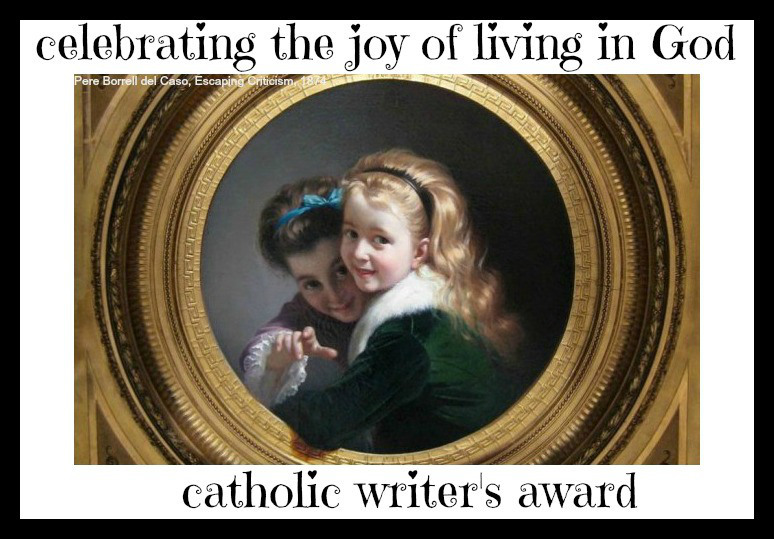 Hi Melanie, I am looking for a Catholic that I believe represents the same core values as my business to help me with a writing project for my business http://www.catholicchurchwebsites.com . I love your work. You seem real. 🙂 Would you have any time to visit? Yes- what are you proposing? what are you asking me to do?